The advantages of aluminium locksmith’s are appreciated primarily by designers and contractors of industrial and utility buildings. 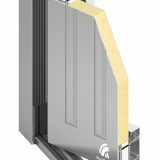 An important role is played by the mechanical strength, in which, due to its rigid structure, aluminium joinery is the leader. 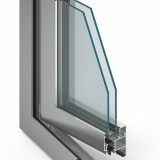 In addition, it is weatherproof and easy to keep clean, which is important in areas where glazed aluminium systems form large surfaces. Aluminium joinery, with profiles, columns and rails of different widths, allows to match the type and appearance of sites, cash boxes, showcases, glass doors, windows and facades to the function room. 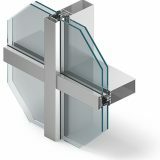 Narrow elements are used when the glass surface is to be as large as possible. They allow you to achieve slender and durable constructions. 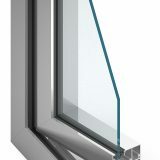 Wide profiles work when there is a need for thick, heavy windows. 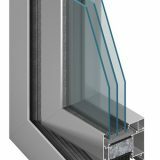 The plasticity and flexibility of aluminium make it possible to bend profiles to various types of arcs and arch constructions, which allows the windows and doors to give unusual shapes. 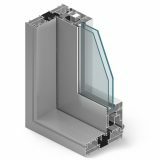 Therefore, aluminium joinery is also indispensable in residential construction, with unconventional architectural solutions, where individual characteristics are made up of non-standard windows, glass doors or partition walls. 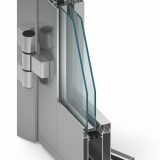 The aluminium system is ideal for large sliding doors, manually or automatically. Aluminium joinery manufacturer OLA invites you to get acquainted with the offer of high quality aluminium components.